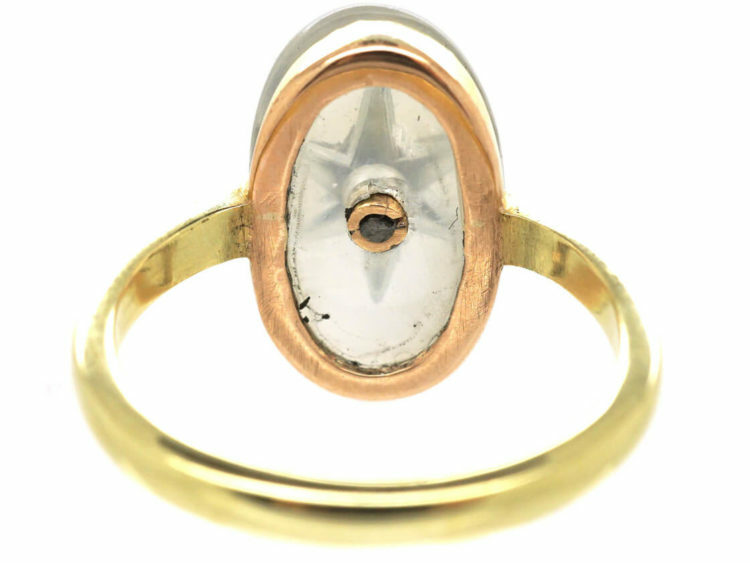 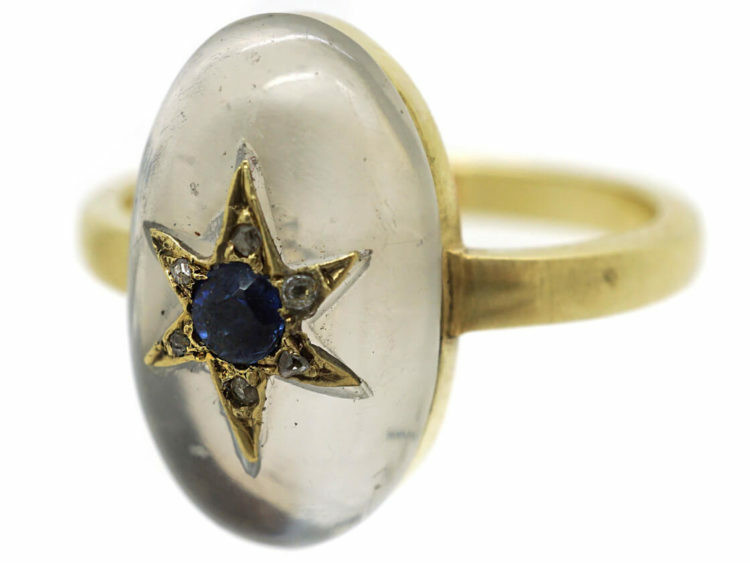 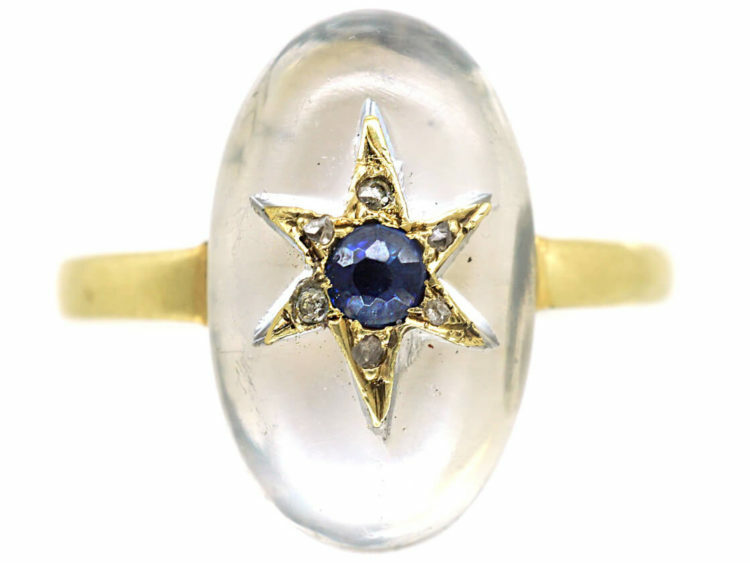 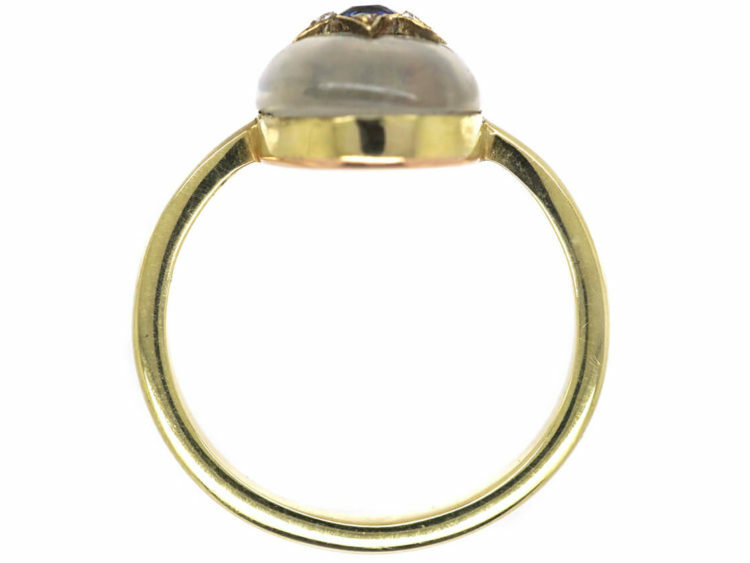 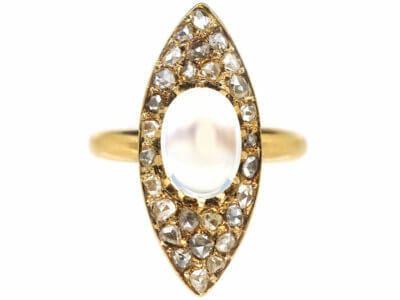 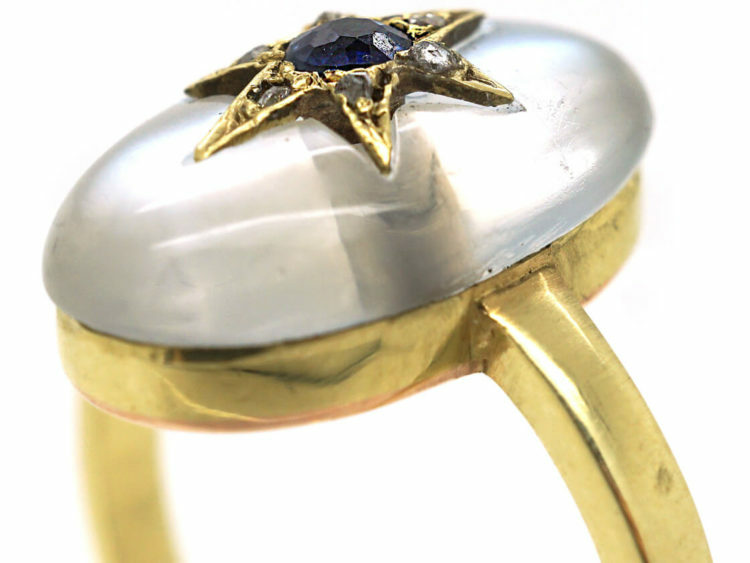 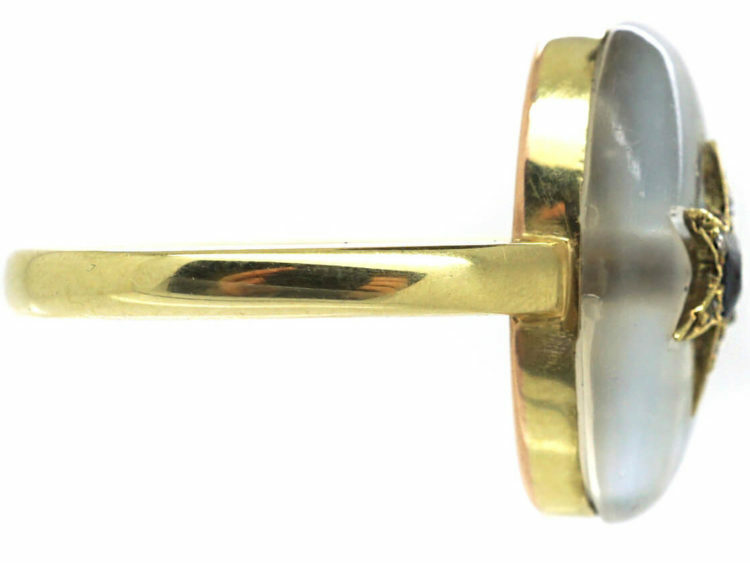 An attractive 18ct gold ring set with an oval cabochon cut moonstone. 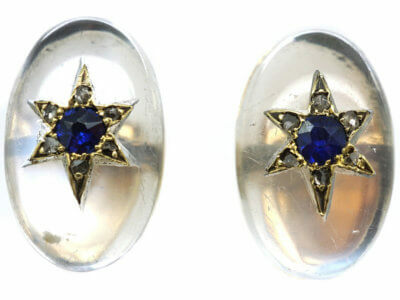 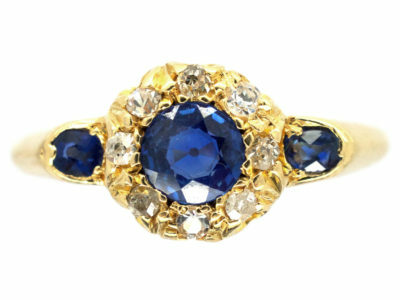 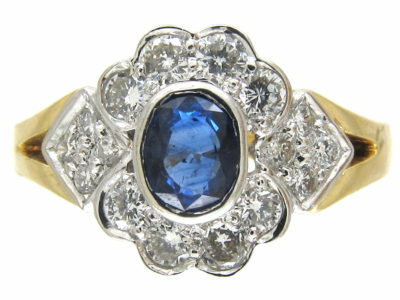 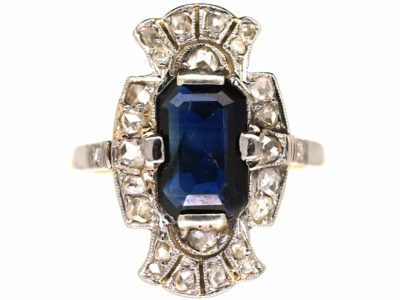 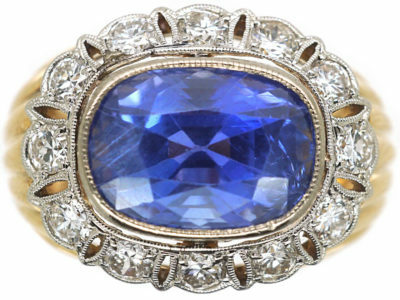 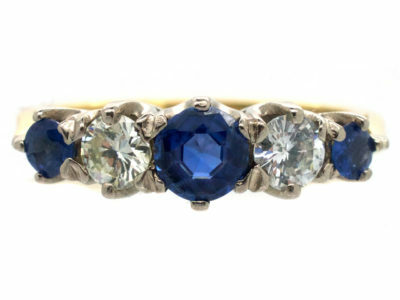 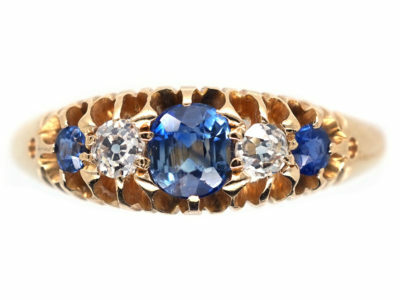 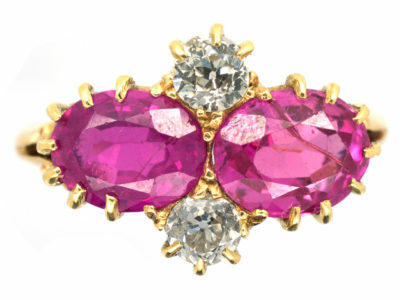 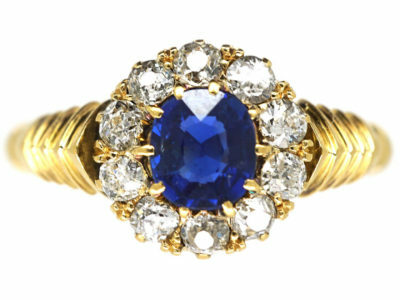 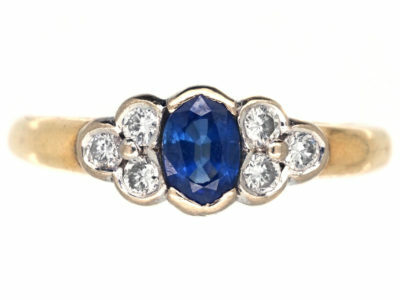 In the centre is a star with a central sapphire surrounded by six small rose diamonds. 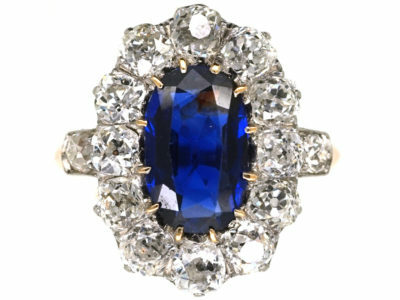 It would make a lovely dress ring.